Speaking in a web interview, the EFF leader thinks only the state should be allowed to own land. 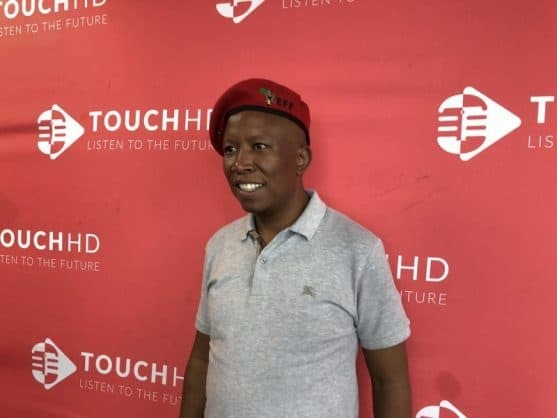 Speaking in his first radio interview since spearheading the successful adoption of the first step in Parliament to change the constitution to allow land expropriation without compensation, EFF leader Julius Malema compared South Africa with Zimbabwe, which has already seen land grabs that led to widespread social and economic devastation. Critics blame the land redistribution for the collapse in agricultural production that led to Zimbabwe’s economy being wrecked by hyperinflation, mass unemployment and emigration. Since then, there has been a change in government in Zimbabwe and the government under Emmerson Mnangagwa has taken steps to undo some of the damage done to the agricultural sector when small groups of Robert Mugabe supporters travelled from farm to farm in the year 2000 to begin the process of forcing white landowners off their properties. Many of the seized farms were given to Mugabe’s loyalists or fell into disrepair, though Mugabe said the reforms would help black people impoverished by British colonial rule. Thousands of farmers were eventually forced off their land by the mobs or were evicted. Many ousted farmers moved elsewhere in Africa, particularly Zambia, where they were welcomed for bringing investments in the form of capital, equipment and agricultural know-how. AFP reported today that farmer Robert Smart, who was pushed off his land in June 2017, was allowed to return to his farm within weeks of Mnangagwa’s inauguration, becoming the first — and so far only — white farmer to be given back his property. Mnangagwa has, however, described Zimbabwe’s land seizures as “irreversible”, and has stressed that white farmers will not get their old land back. Instead, they are being encouraged to take other farms on new 99-year leases as the government seeks to boost the agricultural sector to revive the moribund economy and create jobs. Evicted white farmers may also receive cash compensation — but where the money will come from is unclear. However, Malema still believes that Zimbabwe’s example should be followed in South Africa. He said on web radio station TouchHD that “in the next 10 years Zimbabwe will be in a better position and it will be the only country in Africa where Africans own the land”. He excoriated black people who had concerns about the economy, telling them they had been deceived. He said that there was no way to change the economy without disruption. He acknowledged that the land issue could lead to civil war, but that if they followed the law then that could be avoidable. He explained that the EFF’s vision for land was that no individual would be able to own land privately. Everything would be nationalised and the state would decide on the use of the land. This principle is contained in the party’s founding manifesto and constitution. The governing ANC has made it clear it does not agree with this approach, though it hasn’t made it clear what its proposed alternative will be. President Cyril Ramaphosa said today that land expropriation would not be a “smash and grab” attempt, and much consultation would take place to ensure the process would not harm food production, jobs and the economy as a whole.